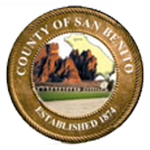 The mission of the San Benito County Recorder’s Office is to maintain the permanent records of real property and serves as the keeper and protector of these vital records of county government. The Recorders Office is dedicated to protecting and preserving the integrity of all recorded instruments and committed by law and obligation to their proper indexing and filing. The Recorders Office is dedicated to providing quality service to all citizens and is committed to the highest standards of professionalism. This Division performs the mandated duties of recording, indexing and maintaining for public access, all documents authorized by law to be recorded. Records in this office date back to the transcribed records from Fresno/Monterey County and the beginning of San Benito County. It is imperative that records be well-preserved and easily accessible as current property transactions depend on the accuracy and availability of previously recorded documents. This Division also records marriage certificates, files birth and death certificates, indexes these records, and maintains these records for public access. For a fee, this Division provides a copy of any record maintained for public access. This Division mails notices when required by law. A fee is collected to recover the cost of providing this service. This Division microfilms its records for security purposes, maintaining a copy of the film off site. Documents are now scanned into our optical imaging system and are available for viewing by the public the next day, after they are recorded.